Humans like to think that they have perfect control of the world. It certainly seems as if we do when you think about the devastation we have caused to natural habitats. Sometimes, however, animals find ways of getting us back. The best-laid plans of mice and men. Here are 10 ways that animals have sabotaged human activities. In every submarine-based thriller movie, there is a scene in which the whole crew goes deadly silent. An officer listens intently on headphones. Any sound could reveal their opponent. They are being stalked by a silent and deadly enemy. In the 1980s, the Swedish government thought they were detecting the sounds of Russian submarines in their territorial waters. High-pitched pops and squeaks were picked up by underwater microphones. The Swedes complained to the Soviets, but the Swedes kept picking up the noises. When the Soviet Union collapsed, the Swedes expected the intrusions to cease. But they didn’t. That was when the Swedes realized that there might be another explanation. Researchers discovered that the sounds were actually coming from herring farts. Herrings make the sounds by releasing gas from their anuses. Most fish, including herring predators, are unable to hear these farts. So this allows the herrings to communicate in private. Technically, the noisy “bottom burps” are not farts because the released gas is from air gulped down at the surface and not the product of digestion. It is not known how much the herrings cost Sweden in beefed-up coastal defenses. 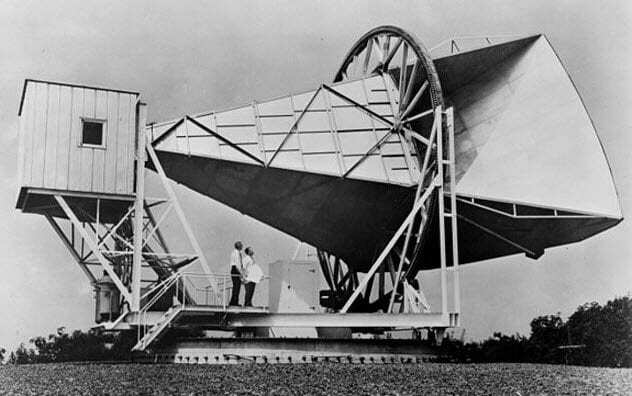 In the mid-20th century, there were two main competing models of the universe. The first was that the universe was eternal and essentially unchanging—the steady state model. The second theory was that the universe had evolved to the present day from a time when it was much smaller—the big bang theory. Getting evidence of which one was likely to be correct was almost derailed by pigeons. In 1964, physicists Robert Wilson and Arno Penzias were working to measure the brightness of the sky with a microwave detector. Trying to find the minimum brightness proved to be difficult. Wherever they pointed their telescope, there was a continual buzz. They ruled out all potential sources of interference. Then they spotted a pair of pigeons roosting in their equipment. And where birds nest, there is likely to be pigeon poop. The physicists thought that the poop might be causing the hum they were picking up. They caught the birds and sent them to a pigeon fancier 48 kilometers (30 mi) away. Then the scientists scrubbed out the droppings. But once released, the birds returned to the telescope. The war between the scientists and the pigeons lasted for months. Throughout the campaign, the weird signal persisted. Once the birds were removed from the equation, it became clear that the signal was not a mistake. Wherever you look in the sky, there is background microwave radiation. This is exactly what the big bang theory predicts. For their discovery—and pigeon-handling skills—Wilson and Penzias won the Nobel Prize in Physics. Power plants are almost always situated next to large bodies of water. They need that supply of water to drive the turbines that produce electricity. Nuclear power plants are particularly dependent on the water as it is the source of steam for their turbines. But it also helps to cool the reactor. As we all know, an overheated nuclear reactor is not a good thing. In 2013, a Swedish nuclear power plant shut down when a swarm of jellyfish blocked the inlet pipes. Tons of the creatures had to be removed before the reactor could be restarted. This was not a unique event. Sea salps have also been known to swarm into power plant pipes and cause clogs. 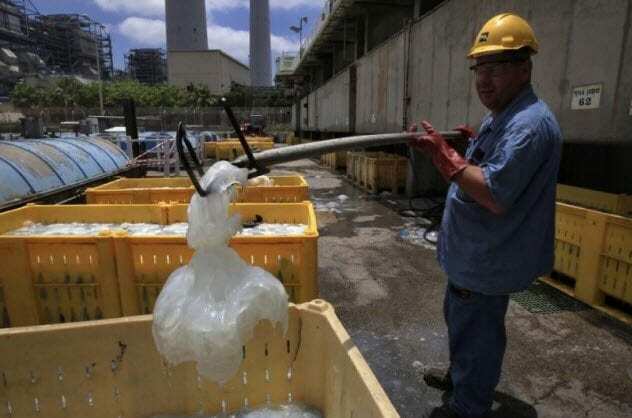 Around two or three times a year, a power plant or water desalination plant is shut down because of jellyfish swarms (aka blooms). It is thought that overfishing is increasing the frequency of jellyfish blooms as humans are removing their predators. Mayflies are a large group of insects with a fondness for swarming. They spend most of their life cycle in an immature form in bodies of water. When they hatch into their adult form, they take to the air to mate. To reduce the chance of being eaten, whole populations of mayflies often mature at once. When this happens, they swarm into the air in vast numbers. In the video above, the swarm was so severe that a bridge had to be closed. The mayflies are attracted to lights, making driving hazardous. Even though a mayfly is only about 2.5 centimeters (1 in) long, these insects can form layers that make roads a slippery mess when cars ride over them. Turning on windshield wipers can lead to a sludge formed from their mashed bodies blocking your view. Crashes caused by mayflies are not unknown. Some swarms are so large that they are picked up by weather radar. Having an insect fly into your face is unpleasant. Having a bird fly into you would be painful. Having a bird fly into your vehicle when it is moving hundreds of miles an hour can be disastrous. Obviously, when a bird hits an airplane, it is usually the bird which comes out worse. But sometimes, the bird can bring the plane down. Bird strikes have been estimated to cause over $1 billion in damages each year. 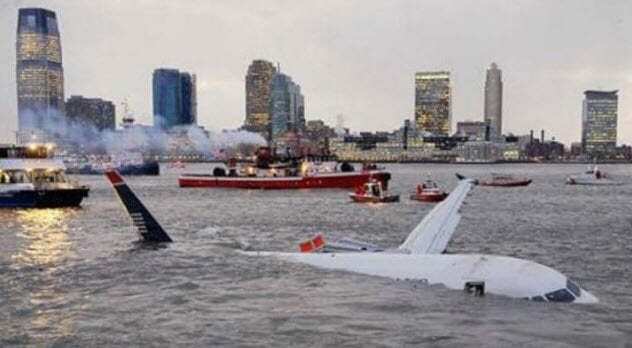 A collision with a flock of Canadian geese caused the crash landing of a plane in the Hudson River in 2009. In 1912, the first recorded bird strike drove a plane into the Pacific Ocean when a gull jammed the plane’s controls. The pilot drowned. A small bird being sucked into an engine usually causes no problems. But a goose is a hefty object to pass through the blades of a jet engine. Due to the risks, airports around the world have come up with ways of scaring birds away from runways. Most strikes happen when a plane is taking off or landing. Booming cannons, lights, and even birds of prey are all used to keep flocks away. Anyone with a cat can testify that they have an annoying habit of walking where they are not wanted. Historical artifacts show that felines have always been this way. Roman tiles are found with paw prints. Manuscripts have been discovered where a cat has sauntered through ink and tracked it over the pages. These are mere annoyances. 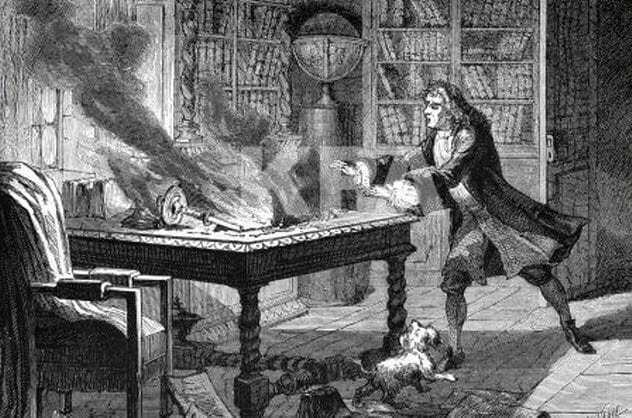 In contrast, Isaac Newton’s dog, Diamond, very nearly destroyed the great scientist’s sanity. Diamond, by all accounts a frisky fellow, was running about one day and collided with a table. This accident knocked a candle over onto the manuscript that Newton was writing. Ironically for the discoverer of gravity, his work went up. According to some sources, this setback caused Newton to lose a year of work from both the burned text and the months of depression that followed the loss. During that time, he was unable to produce anything. 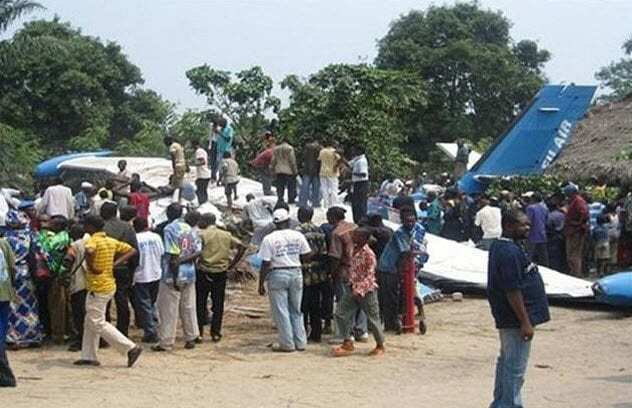 In 2010, a plane crashed in the Democratic Republic of Congo for no obvious reason. Nineteen people died when the plane crashed into a house close to its destination. The lone survivor supplied one possible cause for the crash—an escaped crocodile. The survivor said that the crocodile, which was 0.6–0.9 meters (2–3 ft) long, escaped from a passenger’s bag. Understandably, this sparked a panic. The passengers fled to the front of the small craft. This shift in weight unbalanced the plane and seems to have driven it into the ground. An inquest into the accident revealed that there was video of the crocodile emerging alive from the crash. Despite its lucky escape from the plane, the crocodile was ultimately killed by a blow from a machete. There are other possible causes for the plane crash, including human sabotage. But there is no evidence that this was anything but an accident caused by a crocodile. The Large Hadron Collider (LHC) is one of the most complex and expensive scientific machines ever built. With something this big and delicate, it is inevitable that things should go wrong. Three times in its life span, the world’s largest experiment has been taken offline by animal interference. In 2009, a bird shut down the LHC by dropping a piece of baguette onto a capacitor that links the LHC to the outside power supply. The baguette caused a failure in the cooling plants, which made temperatures rise in the ring of the collider. The bird survived the incident and was found eating its dropped lunch. The animals which caused shutdowns in 2016 were less lucky. In early 2016, something—probably a marten (a weasellike creature)—gnawed through a power cable. The LHC shut down for a week. Later in the year, a stone marten made its way into the LHC and touched a transformer. As a result, 18,000 volts ran through the marten, scorching it and killing it instantly. The LHC lost power, and all experiments were stopped. 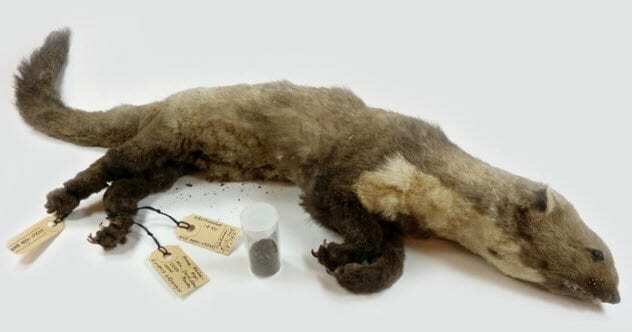 This stone marten can now be viewed in all its crispy glory in a Dutch museum. In 2005, an attempt to break the world dominoes record was the cause of an outcry from animal lovers. 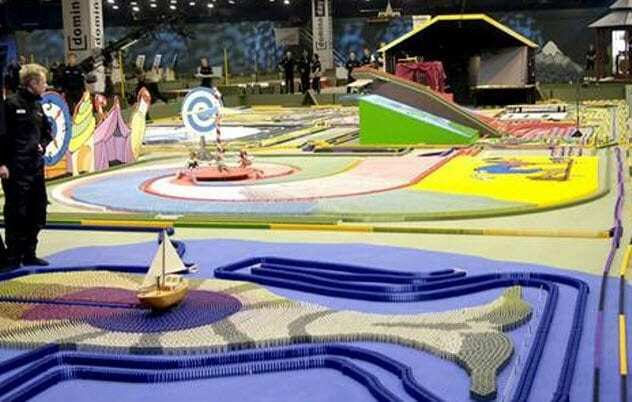 With 4.1 million dominoes set up and ready for the attempt, a sparrow flew into the venue. The sparrow upset the organizers when it started a chain reaction that knocked over 23,000 of the dominoes prematurely. Staff had spent weeks setting up the dominoes, so this setback was not greeted calmly. With the rest of their work at risk from another sparrow bombing, an exterminator was called. He shot the sparrow with an air rifle. With the sparrow out of the way, the attempt went forward. It took two hours for all the pieces to fall, but the world record was eventually broken. The sparrow’s death, however, led to a book of condolences being started. It also turned out that the bird was a house sparrow, an endangered species in the Netherlands. Mr. Edison, I was informed, had been up the two previous nights discovering “a bug” in his phonograph—an expression for solving a difficulty, and implying that some imaginary insect has secreted itself inside and is causing all the trouble. 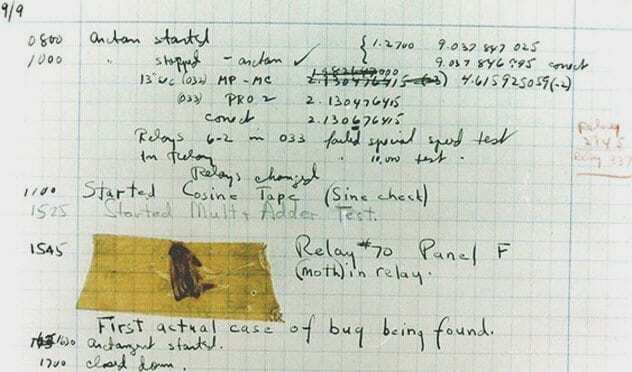 Grace Hopper, the computer pioneer in charge of the Mark II, helped to popularize the use of the term “bug” by telling the story of the moth often.